How to clean your vehicle using car carpet steam cleaners. Your car is your pride and joy, so make sure you choose a well known and trusted car carpet steam cleaner to treat her as you should. Having the interior of your car looking more worn out than your age x 2 is never a good thing. Our vehicles are our pride and joy. They are not automated boxes made for transportation from point A to point B. They are expressions of who we are and I’m sure you don’t want to convey that you’re old, dirty and in need of cleaning! The interior of your vehicle has to endure sticky kids, food spills, dirty bums, sweat and all manner of foul surfaces. So, it is really important that you regularly clean your interior. There are many methods of doing so however my favorite includes using car carpet steam cleaners. Using a steam cleaner on your vehicle’s carpet is an excellent way to clean embedded dirt and stains from off of it. If you think that just vacuuming your carpets is enough, think again. Because we use our vehicles regularly, we track in a lot of dirt and other elements from off the public roads. Our carpets at home are not even subjected to as much dirt because we take our shoes off. So when you really think about it… goodness knows what’s lurking in your car carpet! Steam or vapor cleaning your carpets is an excellent choice because steam at high temperatures can kill 99.9% of bacteria and germs. Additionally, steam causes the embedded dirt to loosen from around your carpet’s fibers which makes vacuuming it much easier and more thorough. 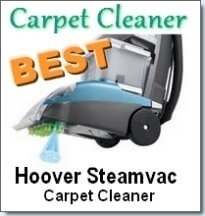 So how do you go about cleaning your carpet with car carpet steam cleaners? The first step is to gently brush the carpets to remove any loose debris. It is wise to remove the carpets from your vehicle since you don’t want to move the dirt around. After you brush the carpets, do an initial vacuum. This will remove even more of the dirt. After, set up your steam cleaner according to the manufacturer’s instructions and use the appropriate attachment. Then, run the steamer repeatedly over the carpet. Some steam cleaners have an inbuilt vacuum which immediately suctions the condensed steam. 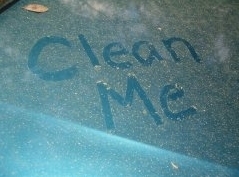 After you’ve done this, allow the carpets to completely dry before putting them back in your vehicle. 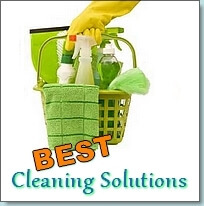 The best steam cleaners for this job are the steamers which use hot extraction method of cleaning. This involves spraying heated cleaning solution into the carpets, scrubbing them with rough brushes and then vacuuming the dirty solution. Cleaning your automobile’s carpets isn’t the only thing you should clean. The entire interior should be cleaned. One of the more neglected areas is the steering wheel. Don’t make this mistake as you “handle” it every day quite literally. The steering wheel tends to build up a lot of dirt and grime, so take your time when cleaning it. How often should you clean your vehicle? Well I personally clean it on a weekly basis. I may not go full out on the interior every week, but definitely every other week. Your vehicle is the second most important investment you will probably make in your life, so take care of it! Although this is a spot carpet cleaner (not a steam cleaner) it is perfect for cleaning the insides of your car since it’s portable, will easily reach into those hard to reach places and packs a powerful punch. Your car will be clean when you are done. This little machine, that does the work of a full sized machine, has superior suction power to take care of deep embedded dirt, tough stains and difficult to clean spots. Consumers love how easy it is to use and to clean the tanks afterwards. The big tank requires less re-filling trips and there is a brush for every type of problem you might have to deal with. 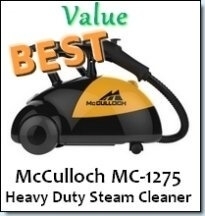 This is a heavy duty steam cleaner at the price of a regular cleaner that can be used for any type of cleaning you can dream up. It won’t only clean the inside of your car to perfection but will also be able to degrease the engine, remove dust from air vents, clean wheels and rims, steam clean windows, and finally get rid of the stains on the loose carpets. 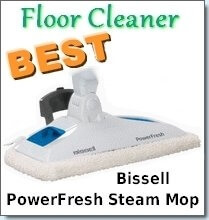 There is no end to the list of what this handy steam cleaner can do. And after you are done with the car this super steam cleaner can be put to use for cleaning your house since it is a multi purpose cleaner. Excellent value for money.